Want a simple way to brighten your home and improve indoor air quality? Then add some houseplants! We offer care tips for seven plants and share if they are pet friendly. Want to kick your spring decorations up a notch? Consider including houseplants. Not only do they bring a touch of nature inside — a top trend in spring home décor — but they can also add color and help brighten the overall look and feel of your home. Best of all, there are numerous easy-to-care-for houseplants to choose from. Here are a few of our favorite — and easiest — indoor plants to consider. If you recently received this popular gift, you’re in luck! It’s not only one of the many easy indoor plants to grow, it’s also one of the most beautiful. This stunning plant blooms in various shades of red, white, pink, salmon and orange. Perfect conditions? Bright, indirect light with regular watering. Safe for pets? Unfortunately, no. 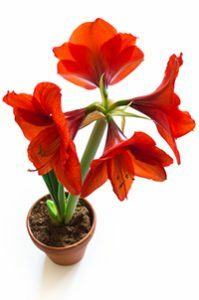 The Amaryllis is toxic to dogs and cats if ingested. You may have heard that orchids can sometimes be finicky. Not this one! In fact, this plant’s blooms can last for up to four months. And with proper care, it will re-bloom just a few months later. Perfect conditions? Low light and watering only when the bark or moss in which it’s growing feels dry. Safe for pets? Yes! 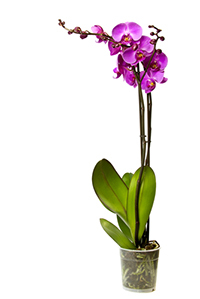 The Moth Orchid is non-toxic to dogs and cats if ingested. Looking for a new statement piece? Consider the Bird of Paradise. Its large, paddle-shaped leaves are similar to those of the banana plant. And if you’re lucky, yours may sprout a stunning red or orange flower here and there. Perfect conditions? Sunny spaces with watering only when the soil is completely dry. 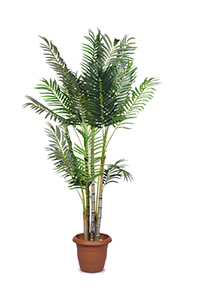 Bring the beach to your home with the Areca Palm, the tree that brightens the room and purifies the air! Perfect conditions? Indirect sunlight with enough water to keep the soil lightly moist during the spring and summer months. For the fall and winter, though, water when the soil dries out completely. Safe for pets? Yes! The Areca Palm is non-toxic to dogs and cats if ingested. Speaking of air purifying, you’ve likely seen a Snake Plant or two in your lifetime. It’s not just known for its purifying properties; it’s also virtually impossible to kill. Perfect conditions? Any level of light except bright, direct sunlight. Water with 4–6 ounces of water every 10 days except in the winter, when you should only water it once a month. Safe for pets? Unfortunately, no. 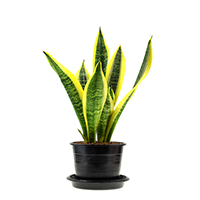 The Snake Plant is toxic to dogs and cats if ingested. For a delicate touch that’s perfect in any room, consider the Peace Lily. 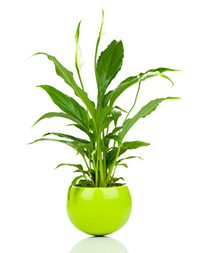 Just like the Areca Palm and Snake Plant, the Peace Lily is perfect for purifying the surrounding air. Perfect conditions? Low light with enough water to keep the soil moist. Safe for pets? Unfortunately, no. The Peace Lily is toxic to dogs and cats if ingested. Thick, lush leaves and visually interesting branches make this succulent a must-have for brightening your house. Added bonus: One plant typically lives for nearly 20 years! Perfect conditions? Bright light with only occasional watering. Keep the soil somewhat dry at all times. Safe for pets? Unfortunately, no. 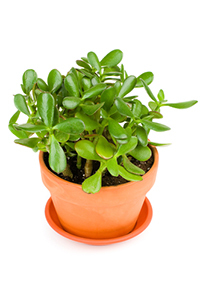 The Jade Plant is toxic to dogs and cats if ingested. Safe for pets? Unfortunately, no. 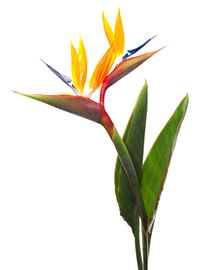 The Bird of Paradise is toxic to dogs and cats if ingested.